You are here: Home / Kiwi Coast News / A Kiwi Dream Come True For Pukenui! A Kiwi Dream Come True For Pukenui! 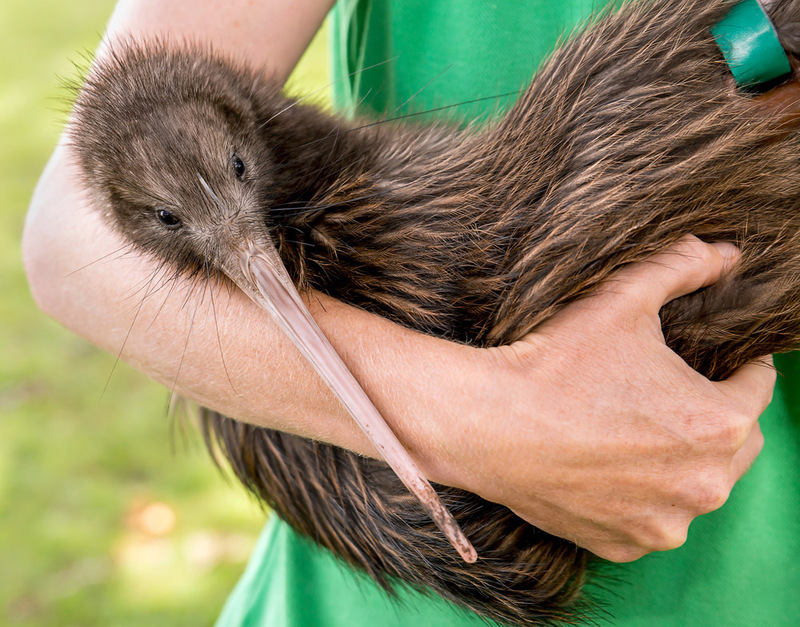 Pukenui – Western Hills Forest Trust’s long held dream of bringing kiwi back came true over the weekend as they released twelve Northland brown kiwi into the 1700 hectare forest fringing Whangarei city. 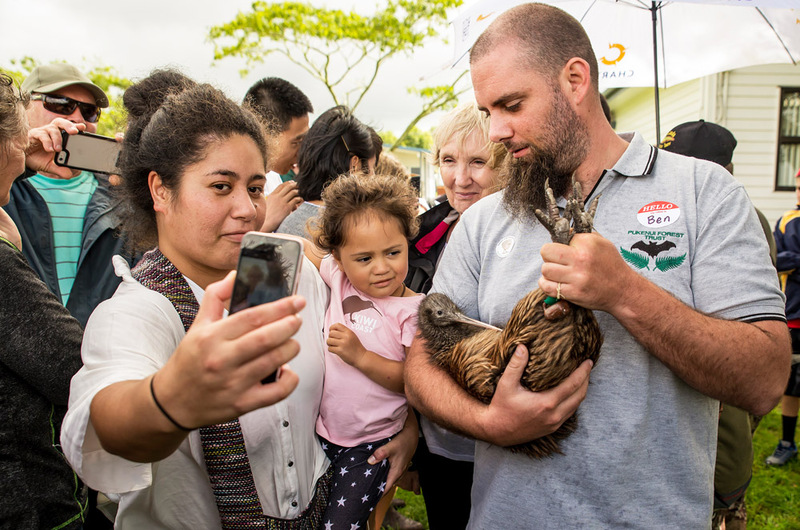 A powhiri was held on Saturday March 17th at Maunu Primary School to welcome and bless the kiwi. 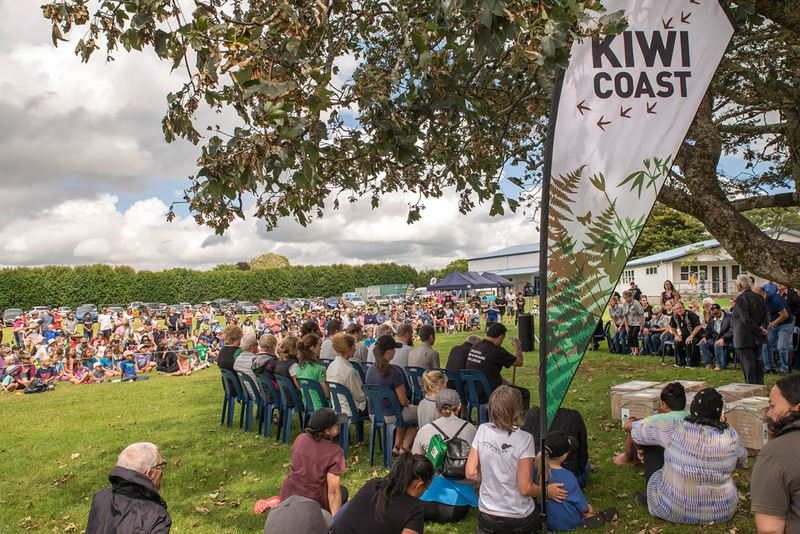 A crowd of over 300 people gathered to watch and have a special up-close kiwi encounter before the kiwi were taken into the forest to their release sites. Pukenui Rangers Bevan Cramp and Ben Lovell and other members of the Trust have received specialist kiwi training over the past six months to enable them to handle the kiwi, which were each fitted with transmitters so their health and movements could be closely monitored. The Department of Conservation (DOC) and Whangarei District Council who administer the forest, have worked alongside the Trust for many years, helping to prepare for the day when kiwi would return to the forest fringes of Whangarei city. Rolf Fuchs from the DOC Whangarei Office added “The Department of Conservation are proud to work alongside community groups such as the Pukenui-Western Hills Forest Trust to help achieve biodiversity goals such as the return of threatened species to pest controlled areas. We hope these kiwi will thrive for many years to come”. The twelve kiwi will be joined by a further twenty eight kiwi in years to come. Pukenui-Western Hills Forest Trust holds regular volunteer days. Anyone wanting to get involved and help out should contact ranger Bevan Cramp.